What can FEMA do for flood victims? HOUSTON - Thousands of Houstonians are in shelters, their homes flooded, with no idea of when they'll be able to return to work. Even as they recover from a harrowing escape from floodwaters, they worry how they'll be able to recover. Will insurance pay for the damages to their home? What about lost income? In natural disasters like Hurricane Harvey, the Federal Emergency Management Agency can help with many of these expenses. Rental Assistance -- You can get up to two months of rental assistance if your home or apartment is inhabitable. You will not likely get anything from FEMA for property destroyed inside your home or apartment. Some Home Repairs -- FEMA pays for repairs based on how much of your primary living space was damaged. For example, if you have a three-story home and only the first floor flooded, but there were no bedrooms on that level, you will not likely receive any money from FEMA for repairs. If floodwaters damaged your water heater or furnace on the first floor, you should receive some assistance to replace that equipment deemed necessary. Some Personal Property -- FEMA pays to replace things like eyeglasses and dentures, but not clothing. It may able pay to replace or repair your household's primary vehicle. If you have more than one vehicle in your household and all were damaged, FEMA will only pay to replace one. In some instances, if your auto insurance pays a certain amount to replace your vehicle, but it's not enough, FEMA will pick up the remaining amount to replace your primary vehicle. 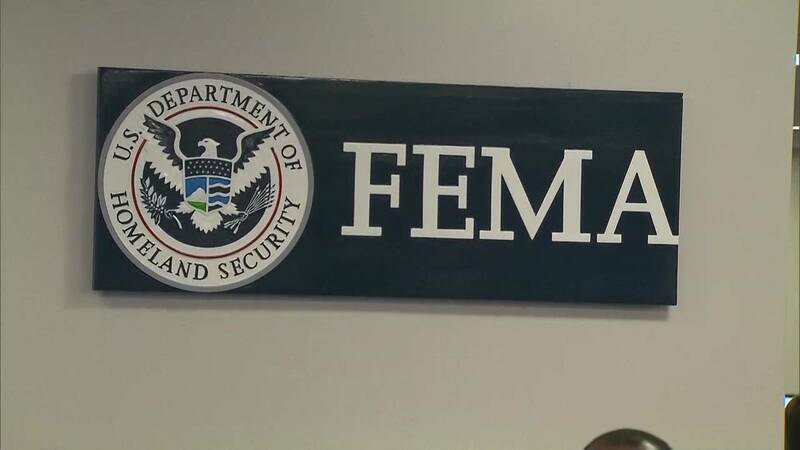 FEMA also pays disaster unemployment assistance to individuals who lost their job because their business or employer was damaged by the disaster and not able to reopen. If the business was open, but employers could not safely report to work, they are not eligible for disaster unemployment assistance. To apply for disaster unemployment assistance, click here. The amount victims receive from FEMA will vary. The agency considers the amount of damage and the amount of insurance coverage each victim already has. The maximum amount that FEMA gives to individuals is a one time grant up to $33,000. You can apply up for FEMA assistance by phone or online. Details are here. Only one person per household should register. If more than one person in your household applies, it could delay the process. You will need your Social Security number, proof of residency (a utility bill will work) and a statement from your insurance company confirming that you are not covered for flood damages. FEMA does not check for applicant's citizenship status. If you do not have a Social Security number, but your child does, you can use your child's Social Security number. At least one person in your household must have a Social Security number. Victims have 60 days from the date of Hurricane Harvey to apply for FEMA assistance. When you apply online or by phone, you will receive a registration number. Within 7-10 days, you will receive a call from a FEMA inspector to schedule a time to come inspect your property. Do not wait for the inspector to begin cleaning up your home. Delaying the cleanup will allow mold to grow, causing more damage. Before you begin cleanup, take photos of everything you will need to repair. Keep receipts for anything you buy for cleanup and repairs (drywall, lumber, paint, sump pumps, etc). During disasters like this one, the Small Business Administration provides low interest loans to homeowners, renters and small businesses. If you apply for FEMA, you will receive an SBA application. In the coming days, FEMA will have representatives at Disaster Recovery Centers set up by cities and counties where needed.